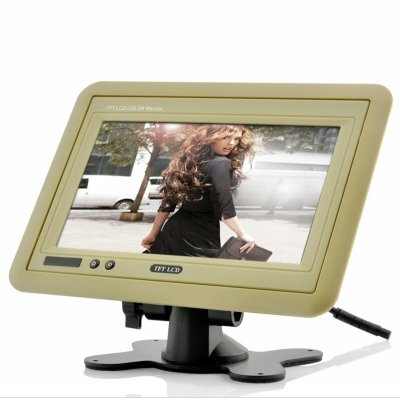 Successfully Added Headrest/Stand In-Car TFT LCD Monitor, 7 inches -Tan to your Shopping Cart. A quick and easy way of keeping the back seat drivers quiet? 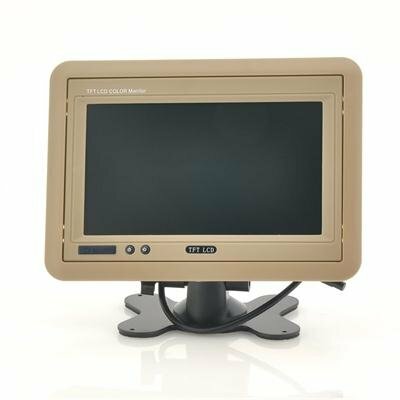 - mount this 7-Inch beige Headrest TFT LCD Monitor. The vibrant high quality screen will show all your movies and TV brilliantly. This high quality product is available direct to you at Chinavasion's low wholesale prices and with the added confidence of our 12 month warranty..
on 2011-12-24 22:34:14 ottimo prodotto e ottima qualita e massima affidabilita'. ottimo prodotto e ottima qualita e massima affidabilita'. on 2011-12-24 22:33:12 ottimo prodotto e ottima qualita e massima affidabilita'. Wow man great screens. It took me a while to find the screens to match my interior in my escalade. these screens really set it off. everybody thinks my caddy was built with these screen in it. the color matches the beige leather perfectly. if you got beige leather in your ride. these screens are the ones you need. Nice monitor, just the litle nut for mouting the monitor is so small you can loose it easy. Good quality of image no problems with installing it.